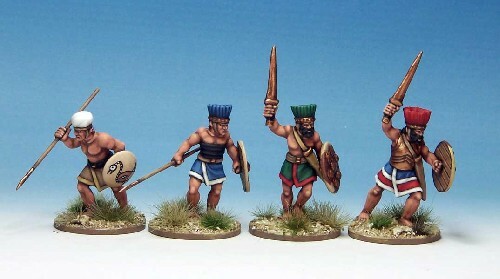 Four 28mm sized metal figures per pack. Supplied unpainted. Spears not supplied, you need to fashion your own from wire, or buy a pack of ours, we recommend NSS102. Shields supplied, they need glueing in place.